The mighty Snowy is one of Australia’s iconic whitewater journeys. For a one-day, family paddling adventure on this river, guided is the only option and we reckon Alpine River Adventures’ one-day Snowy Whitewater Adventure – in cool inflatable kayaks (there are single or doubles available) – is the best way to go; the experienced guides know the area, all the big gear is taken care of (you just need to bring a few essentials) and the company will ferry you from/to Jindabyne (or you can meet them at the put-in point). 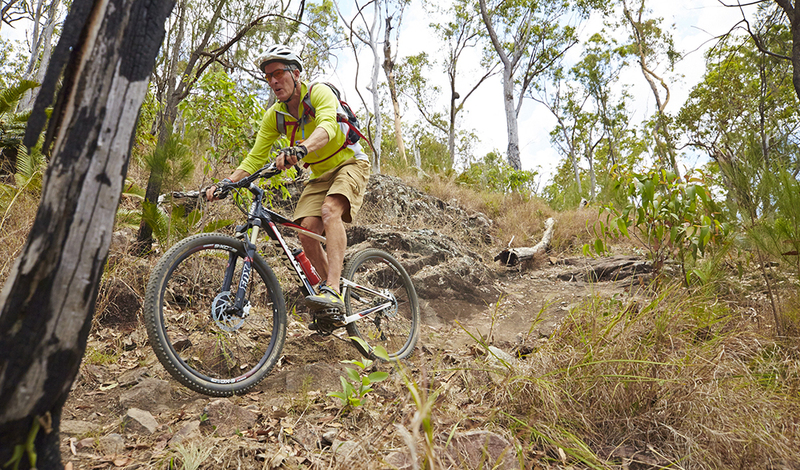 There are five different MTB destinations in and around Cairns, but we’d narrow it down to a choice of two. 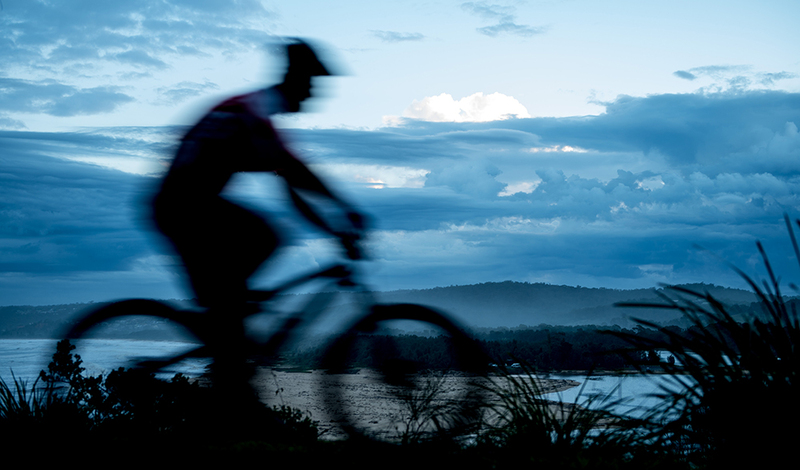 Option one is driving for an hour from Cairns, up onto the tablelands west of the city, to explore the 55km of trails in Atherton Forest Mountain Bike Park. Option two is even easier: barely 15 minutes from Cairns International Airport and you’ll be at Smithfield Regional Park, the location of all those World Cup/Champs events and with 60km of trails (of all difficulty levels). Smithfield is rated as the best rainforest trail system in the world, with internationally-renowned (and Aussie) trail-building legend Glen Jacobs having a big hand in creating these singletrack wonders, so visiting riders will be spoilt for choice on whichever trails they ride. 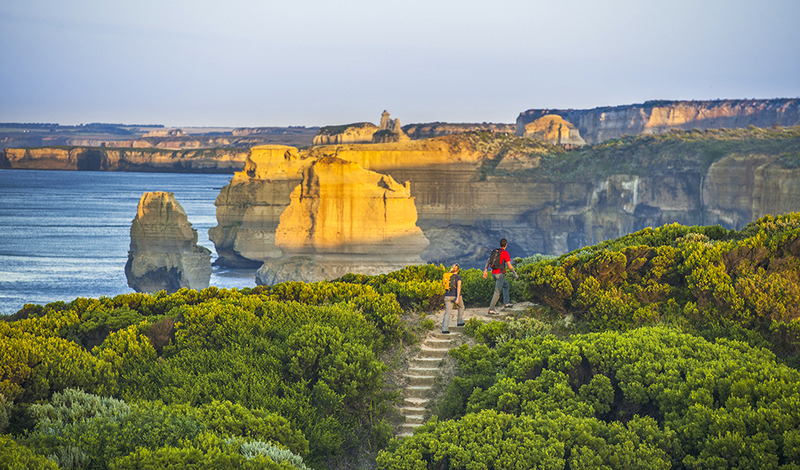 A number of sections of the Great Ocean Walk make ideal day walks (in fact, the walk was designed around easy day access for each section). Our recommendation would be either the 12km hike from Aire River to the lovely Johanna Beach (around five hours at a steady pace), or you could use Aire River as your end-point and walk to it from Cape Otway (10km and around four hours). The Aire River-Johanna Beach section takes walkers through some wild heathland as it shadows the coastline and there are plenty of ocean views to take in as well as loads of wildlife to spot. The Cape Otway Lighthouse makes the perfect start-point for our second option and is worth checking out before hitting the track. 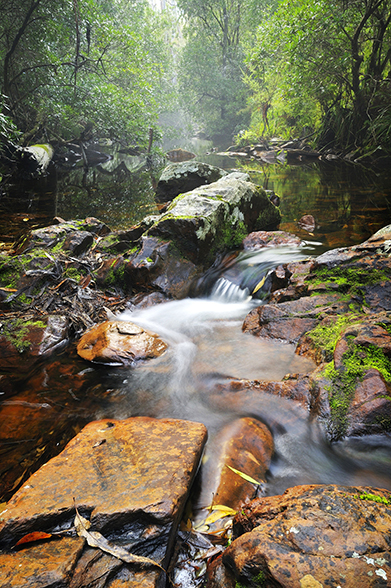 This route from Cape Otway to Aire River also offers shorter return journeys – Rainbow Falls is 3km return from Cape Otway and is spectacular – but we’d recommend the full monty here as the variety of landscapes, ranging from cliffs to coastal vegetation to impressive sand dunes, makes for an awesome day’s experience. 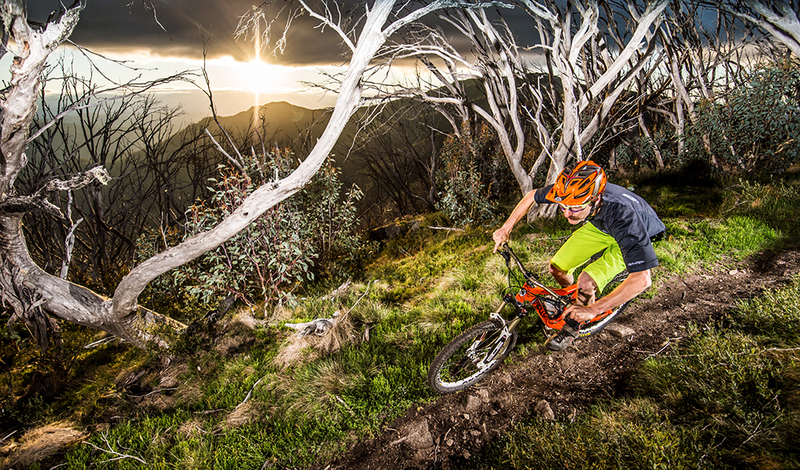 For any keen mountain bikers, the first-ever IMBA (International Mountain Bicycling Association) accredited Epic Trail in the southern hemisphere – Mt Buller’s 40km Australian Alpine Epic Trail – is at the top of their bucket list. This trail (rated intermediate/advanced) will take around five to eight hours to complete. The total climb is 1245m but that grunt-work is rewarded with 2187m of sweet descent, down through some amazing high country terrain. 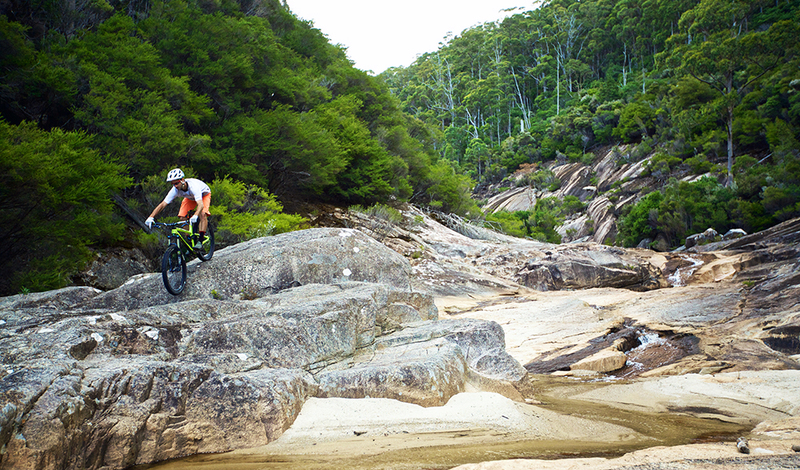 Towering gum trees, huge ferns, plenty of berms and a singletrack section following the Delatite River are highlights. 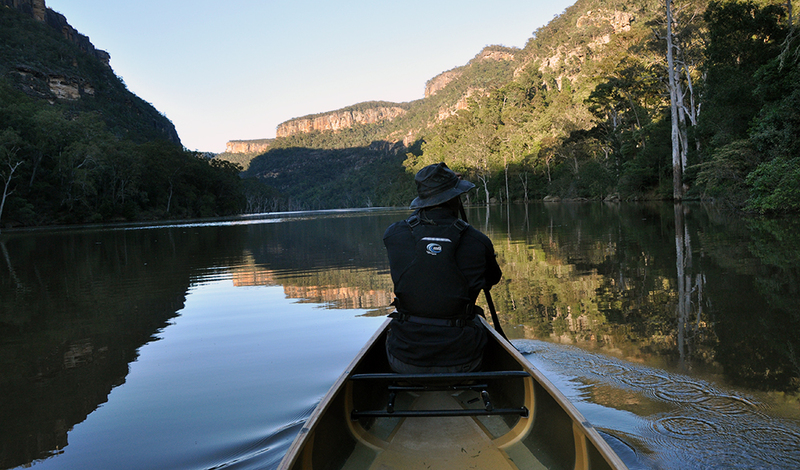 The perfect canoe trip for the whole family, this paddle down the Shoalhaven River begins in the hamlet of Kangaroo Valley. Your put-in is just below the historic Hampden Bridge (Australia’s oldest suspension bridge) and then it is just a matter of how fast or slow you wish to float 5km downriver to the riverside Bendeela campground. Along the way you will get the chance to look for a range of wildlife, including rock wallabies, kingfishers, water dragons and even platypus if you’re lucky (this author was fortunate enough to spot two platypuses here). The trip is suited to beginner paddlers and children (make sure everyone in the canoe is wearing a PFD) with mostly flat water only interrupted by six sets of very small rapids (ruffles is probably a better description), which add just enough excitement without causing difficulty. 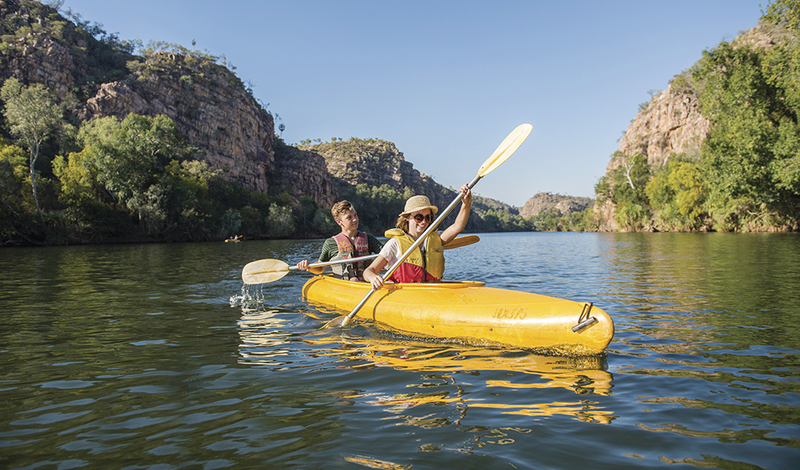 For those visiting for the day, the best bet is to hire a canoe from one of the local operators – they will organise all your essential gear and also pick you up from Bendeela campground in the afternoon. All you have to do is enjoy the river and relax with a nice post-paddle lunch at Bendeela. A very short drive from Hobart (around 20 minutes) and you’re in a wild landscape that feels like it should be a million miles from civilisation. The large Wellington Park covers 18,000ha and there are a number of walks including the jaunt up the Pinnacle Track (which then becomes the Zig Zag Track further up the mountain) to the 1271m summit of Mt Wellington itself. This track starts at Fern Tree track-head, just off Huon Road, and is steep and slightly challenging in parts but can be knocked off in around two to three hours at a reasonable pace. Mt Wellington is such a fantastic day-adventure destination because it has so many tracks that can be easily linked up for a long day in the wilds. And that’s exactly what we’d recommend; instead of returning all the way along the Pinnacle Track, we’d opt to return from the summit along this track initially, before turning left onto the Organ Pipes Track to check out this amazing natural rock formation comprised of impressive dolerite columns. After this, you can double back onto the Pinnacle Track for the trek back down to your start point – or you could follow Sawmill Track (off Organ Pipes Track) and check out Sphinx Rock, before joining Lenah Valley Track and then jumping back onto the last section of Pinnacle Track. 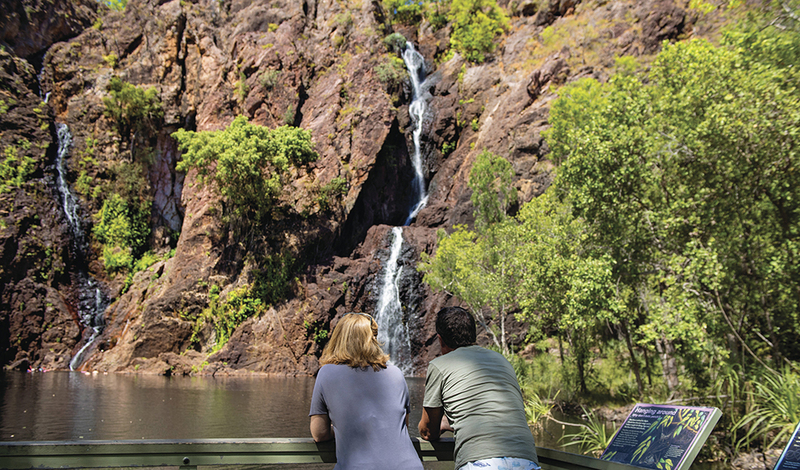 With easy access (around two hours west of Darwin), a beautiful waterfall and awesome swimming, walking and wildlife spotting, the Wangi Falls campground in pretty Litchfield National Park is a brilliant option for an overnighter. The campground is open the whole year and offers Litchfield NP’s only caravan campsites (non-powered), along with camper-trailer and tent sites. It is close to some of Litchfield’s most popular attractions, such as Buley Rockhole, Cascades, Florence Falls and Blyth Homestead. Wangi Falls campground also has a few of its own short adventures, such as the 1.6km-return walk (steep in sections but well graded) through lush forest to the lookout at the top of the falls. This walk starts at the awesome Wangi Plunge Pool, so it is worth doing the walk first, then coming back down to the waterhole for a cool swim – and perhaps an even cooler beer with a picnic lunch. Other short walks nearby include the two-hour sojourn along Walker Creek, north of Wangi Falls, and the walk around The Lost City (reached via a 4WD track), which is a series of tower-like rock formations that make a great adventure for those young explorers in your family. The Ormiston Pound Walk is a microcosm of its nearby big brother, the Larapinta Trail. Ormiston Pound is 135km west of Alice Springs, in the West MacDonnell Ranges. This day walk has everything, from shaded gorges with red rock cliffs looming on either side, to the incredible pound itself, with its lunar-esque landscape. There’s also rocky sections that house a surprising amount of native fauna, and some fantastic high viewpoints. We’d recommend walking this loop in an anti-clockwise direction, starting at the carpark area. 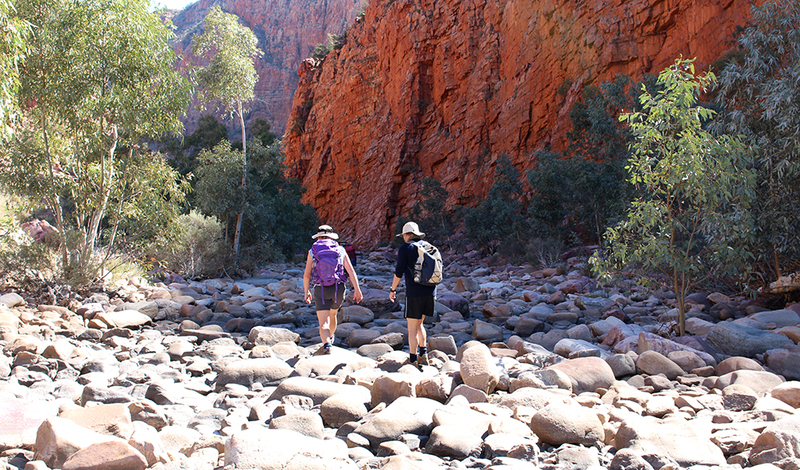 That way, the loop will build up to the awesome finish of walking (or wading/swimming) through Ormiston Gorge itself. It’s one of the outdoor tourism world’s great resurrection stories: take one near-forgotten Tassie mining town, add a network of MTB trails dubbed Blue Derby and built by Aussie trail-building legends Glen Jacobs and World Trail, and suddenly you are the centre of the MTB world’s attention. Yep, it’s that easy, helped of course by the fact the town is right behind the development. Oh, and the fact the trails wind through pristine wilderness; you wouldn’t even know there had been any mining in this area, the vegetation has grown back so fully. At the moment, the Blue Derby network comprises 21km but there are plans in place to build another 40-odd kays of trail, including a full one-day adventure that will take riders from Blue Tier back to Derby. For us, that expansion cannot come quickly enough, but in the meantime, there’s easily a day’s worth of riding here, interspersed with a fantastic pub lunch and dinner, as the trailhead is a miniscule 200m from town. Parks Victoria offers campers at the beautiful Cape Conran a unique way of spending a night (or two). Cape Conran is one of the Parks Victoria campgrounds that feature the awesome Wilderness Retreat accommodation option. This comprises a low environmental-impact safari cabin (with lockable front door) that includes a queen size bed, trundle single bed (both with all bed linen supplied), futon (that also converts to another bed), small fridge, tables and chairs, an outside deck, and a shared kitchen (for Wilderness Retreat guests only). The WR shared kitchen includes cutlery, utensils, crockery, a gas cooktop, full-size fridge, hot/cold water, microwave oven and a toaster. There are also WR-only toilets and showers. Ummm, yeah, this truly is the world of glamping. Luxuries aside, the retreats also offer plenty of wildlife spotting opportunities; keep a look out for bandicoots, potoroos, birdlife and much more. The walking track network at Cape Conran is extensive, and there are plenty of opportunities to explore either on foot (Pearl Point Walk is a great option), or you can jump in your vehicle and tackle a self-drive adventure, checking out the beautiful waterways and indigenous cultural sites. Not a bad way to spend 24 hours. 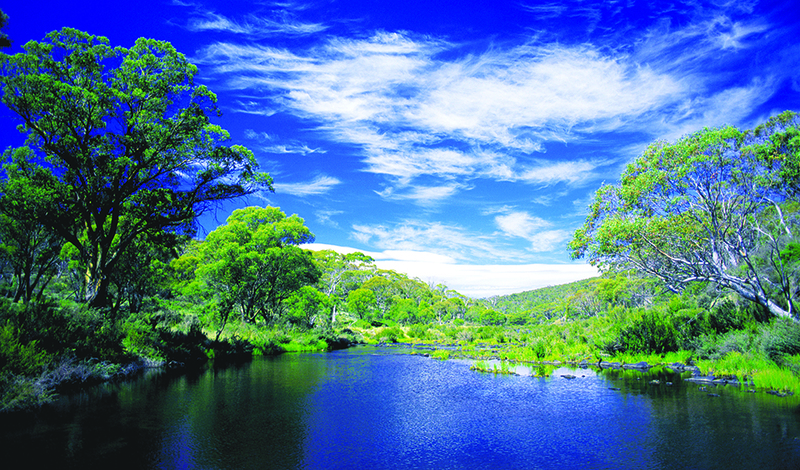 This natural-flow river in northern NSW offers a day’s adventure for all paddling disciplines and skill levels. 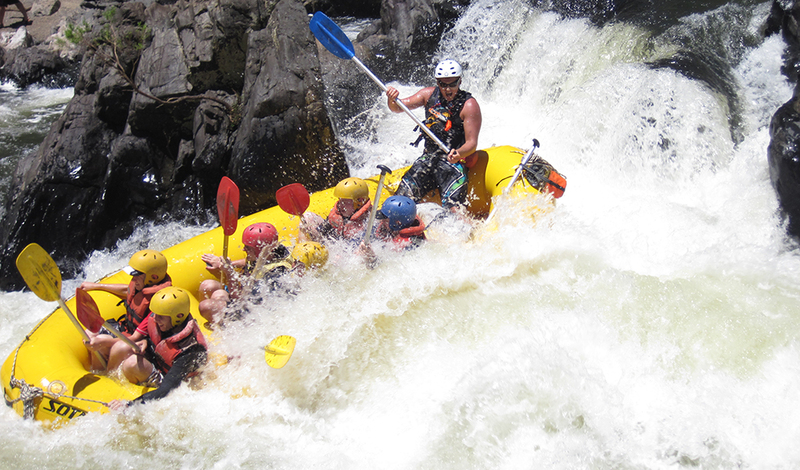 The perfect one-day whitewater adventure is a guided rafting expedition on the river. It may be only 9km in length, but over the course of this day’s rafting you will confront 25 Grade III-IV rapids, have the opportunity to dive off the rocks into deeper sections and get to see some of the north coast hinterland’s unspoilt wilderness. For flatwater paddlers (canoeists and kayakers), the best option is to base yourself at Nymboida River campground, in Nymboida National Park, and explore the river from over the course of a day. Or you can head to the excellent Nymboida Canoe Centre and join one of its Australian Canoeing-accredited canoe/kayak courses and brush up on your skills under the expert tutelage of the instructors there. The centre also offers guided tours and canoe/kayak hire as well as accommodation (campsites and basic cabins) and this is a brilliant way to spend a few days with the family learning how to paddle in the Nymboida’s calmer sections of water. It also offers fantastic wildlife spotting, so look out for water dragons, turtles and the ever-reclusive platypus. 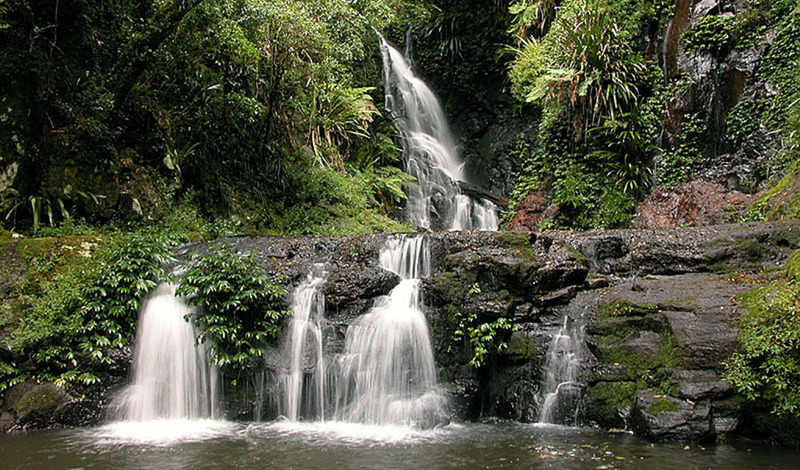 Lamington National Park in Queensland’s south-east is a rainforest oasis not far from the glitzy hubbub of the Gold Coast. In just a two-hour drive from Brisbane you can be immersed in one of the state’s most significant parks, which forms part of the World Heritage-listed Gondwana Rainforest area. More than 150km of walking tracks take you through lush rainforests and myriad (more than 500) waterfalls and up to the plateaus that are the northern remnants of an ancient volcano, of which Mt Warning was the plug. At just over 20,000ha, the park has a big choice of day walks, from both the Binna Burra and the Green Mountain (O’Reilly’s) sections. The 12km Daves Creek Circuit will give you a good taste of what the park has to offer. From the Binna Burra campground, the relatively flat track takes you down into the Kurraragin Valley and passes through a variety of vegetation, from subtropical to warm temperate and wet sclerophyll forest, as well as cliff-top views looking out to the Numinbah Valley. Canoeing the first three gorges (of a total of nine) of beautiful Katherine Gorge, inside Nitmuluk National Park is a truly unique full-day experience. This paddle trip (around 7km) has many highlights, including the obvious one of escaping the tourist boats and crowds (especially if you make it to the third gorge). The wildlife will amaze you; turtles, water monitors and freshwater crocs can all be seen here. The paddling itself is not too strenuous – it will be the portages between gorges that take the most effort – and if you do get too hot, tired or otherwise, you can simply pull in at one of the many sandy beaches along the gorge(s) and take a dip in the refreshing water. The recommended day limit is a paddle to the third gorge and then return, and we’d second that. Doing this means you’re not rushing to get as far up the gorge network as you can during the one day, plus it also gives you time to explore the many side trips: the Jawoyn rock art site at the end of the first gorge; the short walk up to Butterfly Gorge and the Hanging gardens (a cluster of rainforest plants fed via the escarpment run-off) of gorge two; and another swimming hole at Lily Ponds, near the turn-around point at the eastern end of the third gorge. This small coastal town has garnered a huge reputation as the location of an awesome, easily accessed trail network: the trails are a five-minute ride from Tathra beach itself. The Bundadung trail network is the result of hard work from the MTB community in conjunction with the Bega Aboriginal Land Council. For a day’s ride, the first thing you need to do is go and say g’day to the team at Tathra Beach & Bike, where you can grab a free trail network map and then ride a further 800m down the road to the trailhead. The trail network caters for all abilities, with beginner Green, intermediate Blue and expert Black rated trails all marked both on the map and on the trail signage. A great loop, with a mix of grades over its 32km, takes in three climbs and three descents The climbs are Evil Tom, Nelba’s Rise and Kingy’s, and the descents are Bridges (AG Outdoor’s favourite; a Black rated trail), Anchors Away and Nizentite. Combine it in one session or take our suggestion from above and split it over the whole day. Take a two-hour drive west of Sydney and you’re immersed in a day-hiking wonderland. 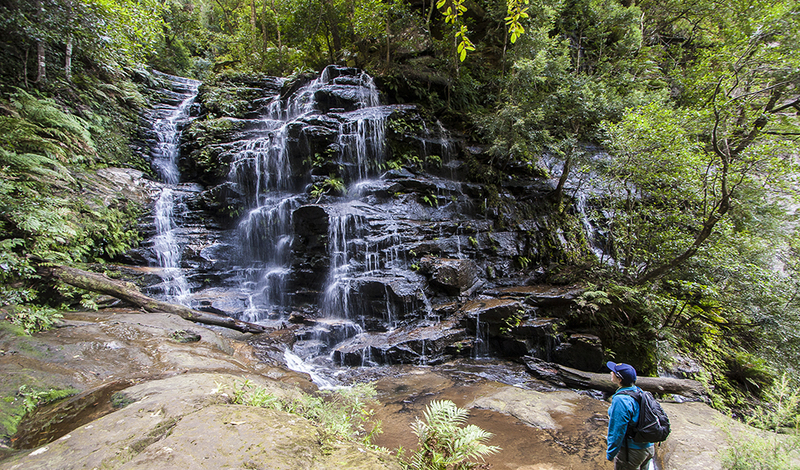 The World Heritage-listed Blue Mountains National Park is an all-year playground, with loads of one-day foot-borne options. How about combining two walks in the one day? Kick off with the 5.4km (around 2-3 hours) National Pass, at Wentworth Falls, then venture west to Blackheath and finish off with the Grand Canyon Track, a 6km journey through sandstone cliff walls and past waterfalls. 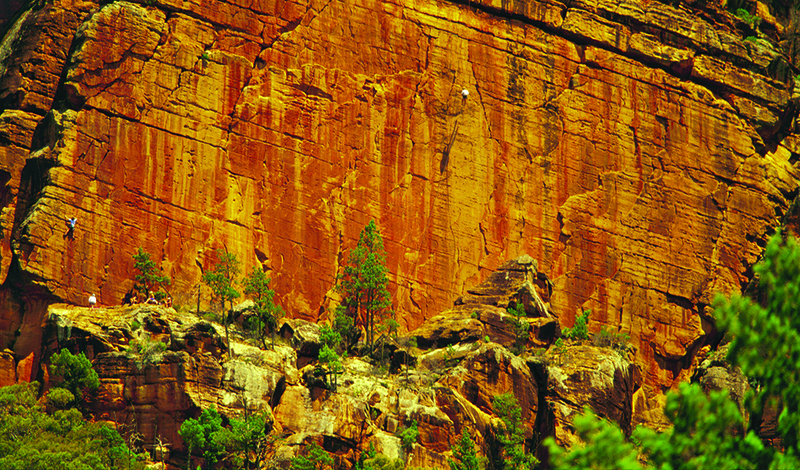 The National Pass track, starting from Conservation Hut, is cut out of the side of cliffs and provides gobsmacking views across the park’s eastern and southern sections. Highlights include the Valley of the Waters which, as the name suggests, contains numerous waterfalls (Empress Falls is a fave), and the historic Grand Stairway (built by hand more than 100 years ago) that takes you up to viewpoints overlooking Wentworth Falls. Grab a quick lunch then drive to Blackheath, and on to Evans Lookout Road where the Grand Canyon Track carpark is (signposted). You’ll soon be away from the sun, dropping down into the shady canyon, and walking through some lush vegetation as you reach the canyon floor and follow pretty Greaves Creek up to Evans Lookout itself. From here, you can follow the road back to your car. 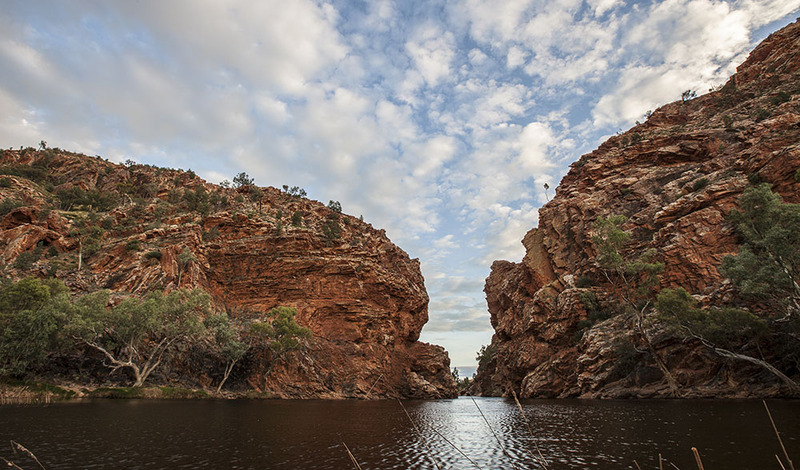 Drive 80km west of Alice Springs, through the spectacular West MacDonnell Ranges, and you come to one of the Northern Territory’s best campgrounds. Ellery Creek Big Hole has picturesque sites for tents, camper-trailers, vehicles and caravans, with the rugged cliffs and ridges of the West Macs as a background. It is easily accessed by 2WD vehicles, with the only gravel/dirt section the last 2km to the campground. The campground has toilets and gas barbecues (no fresh water) and is based around a “first in, best dressed” scenario when it comes to selecting a site. The campground is popular all-year round but especially in spring and summer. In the winter months of the dry season you shouldn’t have too much trouble snaring a site. As the name suggests, the Big Hole in this instance is a massive waterhole (around 150m from the campground) that is brilliant for swimming and even has its own sandy beach, making it ideal for family groups. As well as splashing around in the main section of the waterhole, more adventurous swimmers can continue on through the gap in the rocky cliffs at the far end of the waterhole and do some exploring. Just be aware the water can be very cold in some sections. 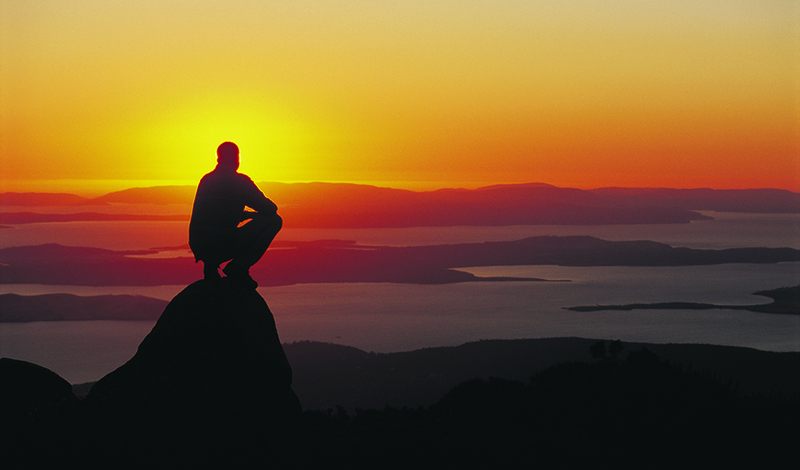 There are also short walks nearby and the famous Larapinta Trail passes by here as well. For that star-filled outback night, this campsite is hard to beat. 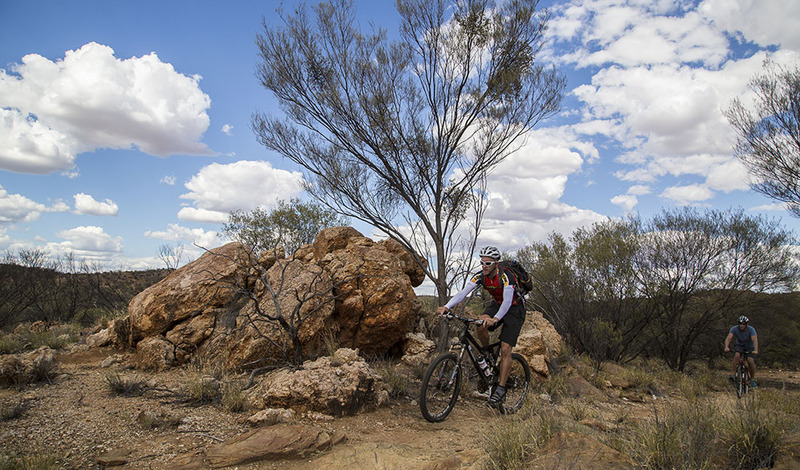 The Red Centre capital is fast becoming a byword for awesome mountain biking, with a huge (and fast expanding) network of trails that cater for all riding abilities. For families looking for a sedate cruise that takes in some of the unique outback terrain the Alice Springs area has to offer, the Ilentye Trail (a 4.9km loop) is well worth a day out as it winds out from town to the historic Telegraph Station. Pack a picnic lunch and take a break on the banks of the (usually) dry Todd River, and then ride back into town. For those after a challenging full day, you can tackle the Arrwe Trail from the Telegraph Station, and then join on to the Apwelantye Trail, which will take you right out to picturesque Wigleys Gorge before turning back to the Telegraph Station and returning via the Apwelantye before rejoining the Arrwe. The Arrwe and Apwelantye are both graded intermediate and offer some awesome singletrack, some cool switchbacks, plenty of gorgeous views and a few steep slopes along the way. These trails starting from the Telegraph Station are just a small part of the larger trail network here. For a smooth-riding road/hybrid journey, you can also tackle the 17km sealed Simpsons Gap Cycle Path, which links this famous West MacDonnells gorge to Flynn’s Memorial, on the western edge of town. It’s another great ride for the whole cycling family, with picnic tables and scenic lookouts along its path. Located inside the awesome Flinders Ranges National Park, the campground at Wilpena Pound Resort (just outside the entrance to the Pound itself) is the perfect base camp from which to plan day walks and wildlife spotting over the course of the day. There are loads of powered sites (44, in fact), plenty of space for bush camping (the campground covers 50ha), fire pits and barbecues, great amenities (three toilet/shower blocks and a couple of laundries), a well-stocked store and, if you’re feeling like a bit of indulgence, you’re not far from the Wilpena Pound Resort and its bar and restaurant. For those after a little more in the way of luxury, the campground has a number of permanent tents onsite. These safari-style tents can house up to five people and are located near the Resort’s restaurant and bar (and pool), plus they include a fridge, water and power. 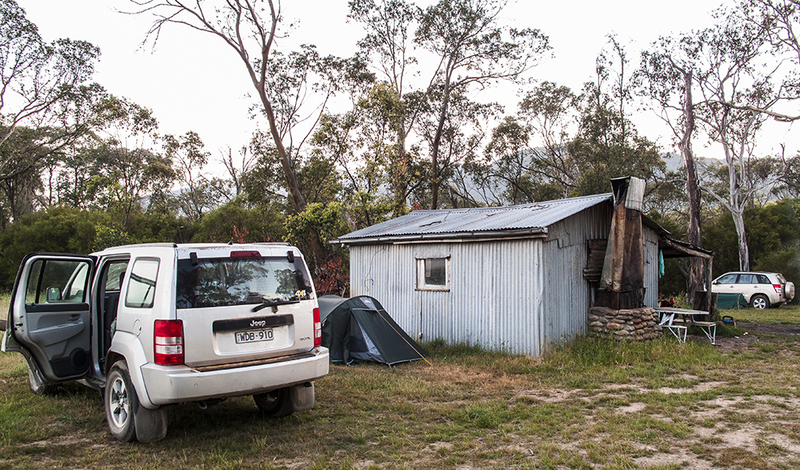 This campground, in Kosciuszko NP’s southern section, offers the full High Country experience. There’s tons of space for cars, tents and camper-trailers, plus easy access for 2WD vehicles (via Kosciuszko Road, then on to Alpine Way) driving south from the NSW ski town of Jindabyne. The 58km drive means you can start early, set up camp and take advantage of the location, on the banks of the upper Murray River. Yep, that means plenty of riverside exploring for the little’uns, plus the chance to throw in a line and test your fly-fishing skills on the river’s trout. You can opt for a car tour of the surrounding region and, if you have a 4WD you can tackle more serious challenges and explore nearby Snowy River NP’s (just across the border in Victoria) many tracks and viewpoints. The third-deepest natural harbour in the southern hemisphere is a playground for migrating whales and a brilliant paddling destination. 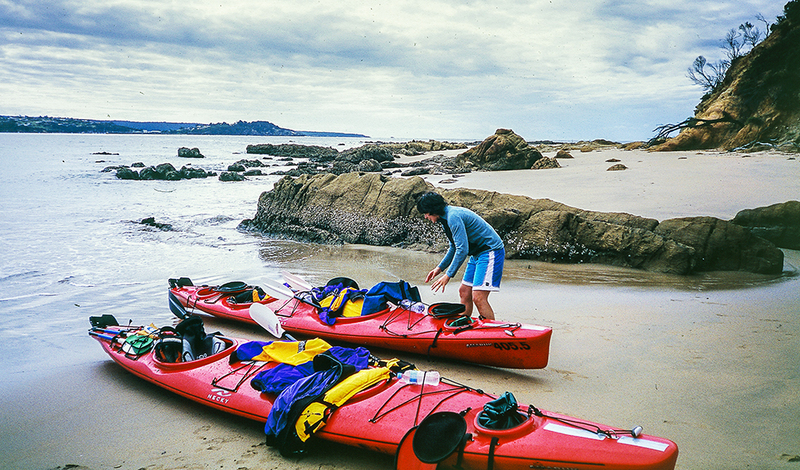 The bay offers plenty of beaches to put in from, plus numerous coves to explore via sea kayak. If you put in at the sheltered Cocora Beach, just at the southern end of Eden (accessed via the Princes Highway that runs through the town), you can paddle around some pretty little sheltered coves, and cross the Nullica River mouth on your way to historical Seahorse Inn at Boydtown, which offers great lunches and coffees. From here, it’s a paddle past Kiah Inlet to Edrom Lodge and another stop, this time to explore historic Davidson Whaling Station. This station and its whalers are famous for being a part of an amazing point in history when the whalers worked in tandem with a pod of killer whales to harvest migrating whales (be sure to check out the Eden Killer Whale Museum in town to learn more about this amazing occurrence). After a wander around the whaling station, jump back in your kayak and follow the coastline further south to a few small beaches – any one of which make for a great lunch or afternoon tea spot. Then, it’s not much more than an hour or so of paddling across the bay (keep an eye out for seals, penguins and whales) to return to your start point of Cocora Beach.